This low carb banana bread recipe with almond flour & coconut flour is perfectly moist & rich. No one will know it's keto banana bread! 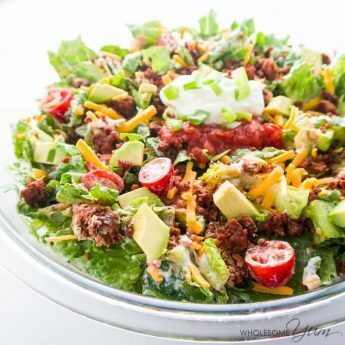 Naturally paleo, gluten-free, sugar-free, and healthy. For the longest time, it seemed as though creating a low carb banana bread recipe was unlikely. And that was sad. After all, you wouldn’t be able to include banana in a keto banana bread – too many carbs. And without it, you’d miss the point completely. But then it came to me! There is a way to bake perfectly moist and delicious, gluten-free sugar-free banana bread without missing anything (except the carbs). Yay! So what’s the secret to this keto banana bread recipe? Have you figure it out yet? You guys, this is like the best stuff ever! You can make a truly low carb banana bread recipe and it still tastes like bananas! 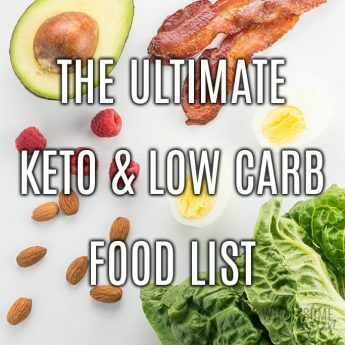 Everyone that’s tried it so far – including those that don’t usually eat low carb or sugar-free foods – really enjoyed it. No one could tell that it’s low carb, paleo, gluten-free, and sugar-free. No one said, “Oh, that must be keto banana bread” or “Sugar free banana bread? Really?”…because no one was thinking about anything other than the next bite. It’s that yummy! My husband even commented, “You can really taste the banana in there!” I admit laughed a little at that one. You don’t actually need bananas to make this low carb banana bread recipe; simply use natural banana extract. Extracts are the secret ingredient to make almost any high-sugar or high-carb food possible again on a sugar-free or low carb diet. The more of them I try, the more convinced of this I get. And just to clarify, I’m not talking about those artificial “imitation” extracts. You do not want those! Invest in a real extract and it’ll last pretty much forever. 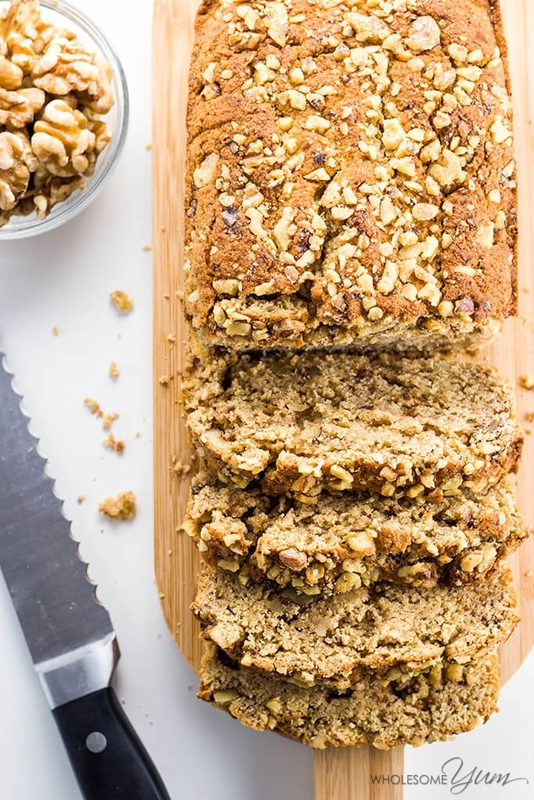 If you haven’t branched out to other extracts beyond classic vanilla, you’ll want to do it for this gluten-free sugar-free banana bread recipe. The banana extract makes it taste exactly like real banana bread! It’s the difference between a regular quick bread and a deliciously moist, flavorful keto banana bread. This sweet treat is so easy to make, too. In just over an hour you can have a gluten-free low carb banana bread all set to go. You already know the secret ingredient in this low carb banana bread recipe, but what else is used? As you can see, this particular recipe uses a blend of coconut and almond flours to get the right density and moistness in your loaf. Sometimes you really need to use a blend of flours to get that “just right” texture, and this is one of those times. The wet/dry ingredient ratio is important here because that’s what ensure the right texture. 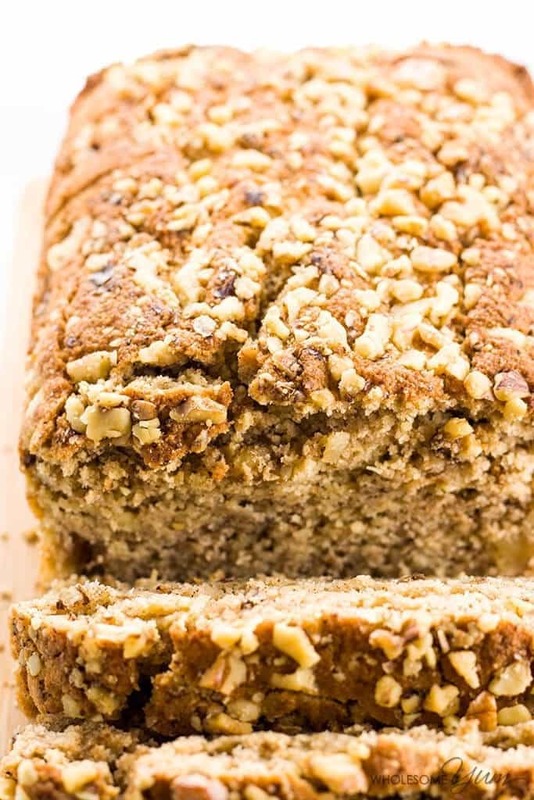 You can make this low carb banana bread recipe dairy-free if you need to. Both ghee and coconut oil are possible dairy-free alternatives to the called-for butter. Since the recipe calls for creaming the butter, the end result will be a little different. But, it will still work! I know, I know. You baking powder isn’t bad. But if it’s been in the cabinet since who-knows-when, chances are that it’s really time for you to buy some fresh. Keto banana bread doesn’t rise very well, so fresh baking powder is especially important to help it rise as much as possible. If you don’t mind using xanthan gum, adding 1/2 teaspoon into the dry ingredients will make the texture better and more sturdy. It’s not required, though. Since it doesn’t rise much, shaping the batter by rounding the top is going to help your low carb banana bread recipe look more traditional. Keep an eye on your bread as it bakes and consider covering the top if needed. How will you know your sugar-free banana bread needs this bit of TLC? If the top starts to brown but the inside is still moist, that’s when you cover it. Simple tent the top with foil and continue baking your healthy banana bread until it’s done. 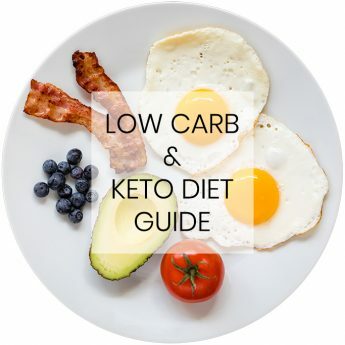 If you’ve been reading a lot of low carb recipes around here, you’ll see me mention that patience should be included as a part of most recipes. And it’s so hard! As excited as you are to dive into your gluten-free sugar-free banana bread, waiting until it’s cool is essential if you don’t want it to fall apart. Are you ready to get baking? You can even go ahead and make a double batch if you’d like, because this low carb banana bread recipe keeps well. It will be fine for a couple of days on the counter, and you can keep it in the fridge for even longer. If you’re going to refrigerate it, wrap in parchment paper instead of plastic, so that it doesn’t collect too much moisture and get soggy. It will also freeze well. Simply slice it up and freeze the slices. That way you can pull it out as you want to use it! 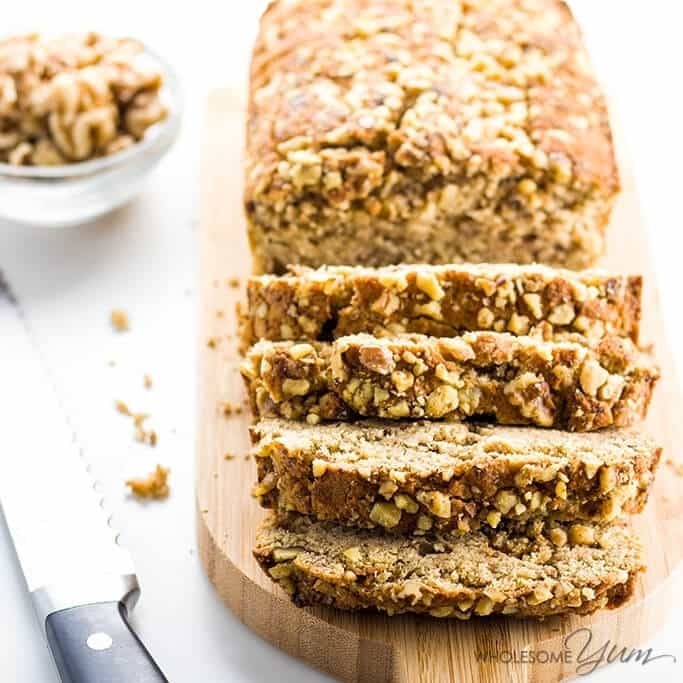 This is a fantastic and festive low carb holiday recipe to share with your friends because no one is going to realize it’s keto banana bread, or even give as a gift to your fellow low carb, sugar-free loving pals. And if you’d still like to try a recipe that is gluten-free but aren’t worried about low carb, you can try some coconut flour banana muffins instead. Or even an allergy-friendly chocolate chip banana bread. Preheat the oven to 350 degrees F. Line a 9x5 in (23x13 cm) loaf pan with parchment paper, so that the paper hangs over two opposite sides (for easy removal later). In a large bowl, mix together the almond flour, coconut flour, baking powder, cinnamon, and sea salt (if using). This banana bread is a little more crumbly than a typical banana bread made with flour. You can add a 1/2 teaspoon xanthan gum if you'd like it to be less crumbly, but I didn't find it necessary. Click or tap on the image below to play the video. It's the easiest way to learn how to make Keto Banana Bread! 3rd time I make it! My friends from work love it and keep asking for more!! It doesn’t even taste like diet stuff. I add macadamia nuts! I like It but it was dry any recommendations? Hi Mary, Most likely it was baked too long? Did you change anything else about the recipe? Mine wasn’t dry at all but it’s hard to tell what went wrong without more detail. I made this banana bread recipe and it is absolutely to die for!!!! I am so excited that I can have it with coffee, almond milk or just by it’s self. You are awesome!!! I am so lucky I found your blog. Since I started following you religiously since the end of January, I am down 23 pounds. 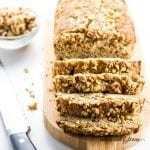 I wonder if you could use maple extract instead for a maple walnut bread ? Hi Linda, Yes, you definitely can! Sounds delicious! I love this recipe! I wanted to make a Coconut Loaf (called a Sweetbread in the Caribbean) and this looked like the texture that matched it best. I don’t use sugar alcohols as they don’t get along well with my stomach, and I don’t like other low carb sweeteners, so I was worried that the bread would not come out right if I dropped it all together. I made a few changes and was thrilled with the result. I used coconut milk instead of almond milk (I make my own almond milk and was out of almonds), added some grated coconut, and spiced it up with nutmeg etc. I used 2 tbsp honey as that still falls within my macros. I used the xanthan gum as I wanted to provide some support what with all the additions. It was a massive success and so deliciously moist! I will try it again with a sprinkling of the walnuts which I also omitted. 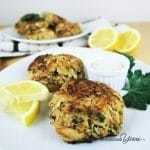 Thanks so much for this wonderful recipe! THANK YOU so much for this recipe!! I also divided the batter into 12 muffins and baked for 20 minutes on 350. I didn’t use the xanthan gum and you are right, it wasn’t even missed. They were a huge hit with my husband and his friends. You can add nonsweet lily’s choco chips instead of nuts, right? Hi Malorie, Sure, you can! Wow, love this bread! Used the optional xanthan gum with great results. Can’t wait to try with real banana extract. So glad I found your blog! Made the cheeseburger casserole last night and that was great too! Can’t wait to make more. Bake only setting on my bread maker for 30 minute, shut it off and let it sit in the machine until cool. Do not open the lid. It allows it fully cook, but not get crumbly. No gum needed. Best Keto banana bread recipe I have found by far. You crushed it. 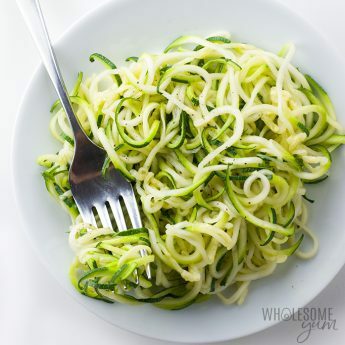 The recipe looks great but I was wondering if there is something else you could use beside the xanthan gum can you sub psyllium powder to help as a binder? Hi Donna, The xanthan gum is optional, so you can omit it if you don’t have it. I haven’t tried it with psyllium. It might work, but the recipe would need other changes made. I LOVE these!! I made muffins out of them and they are wonderful!! Thank you!! Tastes great but it didn’t rise very much…am I doing something wrong? Hi Andrea, Is your baking powder fresh? That could be part of it. But in general, low carb breads don’t rise as much as regular wheat breads do. Hi Rabia, You can, but it’s hard to say the amount because they vary widely. Sometimes something labeled essence is actually imitation extract, which works in a pinch (similar amount) but don’t recommend it. Sometimes essence is a super concentrated form of extract. If what you have is the super concentrated type, you’d need about 1/2 to 1/4 of the amount of extract called for in the recipe. Hi Maya! I can’t find banana extract at any store where I live. Is there any alternative or can u suggest any online store that has this extract and delivers worldwide? Hi Rabia, This is the banana extract I use. If that doesn’t deliver to your country, try the same one available here. I just made this and it tastes just okay. I used granular Swerve and McCormick’s banana extract. Also, it was done at 35 minutes. What went wrong? Hi Kiley, Was it imitation banana extract? That could it be the issue if it tastes bland. A quality extract is pretty important, not that there’s anything wrong with McCormick, but it needs to be real extract and not imitation. The time to bake could vary depending on your oven or your pan. I made this today and added a 1/2 c sugar free chocolate chips to the recipe. It’s so yummy!!!! Thank you so much for the recipe!!! I made this banana bread, it came out wonderful. I did add one banana instead of the extract, 1 tsp vanilla extract, 1 tsp xanthan gum, 1 tablespoon flaxseed, sliced almonds, unsweetened coconut & sprinkled a few sugar free chocolate chips on top. Perfect for my treat when a craving strikes! This was fantastic! I didn’t have almond milk, so I sub’d with heavy whipping cream but it turned out fantastic. Thanks so much for the great recipe/instructions! MADE IT THIS AFTERNOON AND MY SON AND MY HUSBAND LOVE IT!!!! Can I use real bananas? I know it would not be sugar-free but can I? Hi Frank, The recipe would need other changes to use real bananas. I haven’t tested it to know what exactly, but you’d need more dry ingredients. Thank you for another delicious recipe! I’m so pleased with how these turned out. For my own convenience, I made these into 12 muffins (baked about 25 min), instead of a loaf. Next time I may add some Lily’s Chocolate chips! I love to hear that, Simone! Thank you! I simply love your recipe for banana loaf. Moist, flavorful and great taste. With such a great base, could we add other flavorings to make it a different loaf. I’m thinking lemon loaf, cinnamon loaf, chocolate loaf, etc. Just switch the flavorings. Would that work? Yes, the possibilities are endless, Myrna! Are there substitutes for Erythritol? Don’t have any here at the moment. Hi Lisa, You can use a different granulated sweetener – check the low carb sweetener conversion chart here. I am so happy you liked the banana bread, Justin! Thanks for stopping by! I followed the recipe but it came out crumbly. The slices don’t hold together. Not sure what I did wrong but it still tasted great! Hi Delyssa, I’m glad you liked the taste! It does come out a little crumbly, but if you want it more sturdy then adding 1/2 tsp xanthan gum to the dry ingredients will help a lot. Why are there no bananas used in this banana bread? Hi Jacqueline, There are no bananas to keep it low carb. I used natural banana extract instead, and it truly does taste like banana bread. Hope you’ll try it! I made this today and its delicious! I couldn’t wait until tomorrow to try it . I did use the xanthan gum and it held together nicely. Thank you for a tasty recipe! I am so happy you liked the banana bread, Kasey! Have a great day! How long would I cook this for if I wanna make them into mini muffins? Hi Kelly, I don’t have an exact time since I haven’t tried it, but you can definitely make mini muffins. I would start with 20 minutes and check every 5 minutes after that to see if they are done (when an inserted toothpick comes out clean and the top springs back). Can you replace the coconut flour with almond flour? Hi Jessica, No, sorry, unfortunately they are not interchangeable. Made this today and turned out soooo delicious! I don’t have a hand mixer so I just used a spatula and my immersion blender for the liquid stuff. Don’t laugh lol it worked! It’s so good that I ate almost half of the loaf at one sitting. Oops! Love the cinnamon in it a lot. Yum!!! Hi, I used the xanthum gum and did not add the nuts (i do not like them). I have not had bread in a month in a half, but this was the best thing ever! I had enough macros to make it 8 big thick slices! The texture was perfect and buttery and felt like real banana bread. I will be trying all kinds of flavoring because I know I will be making a loaf at least every other week! Oh yes, I feel like I need you to turn this into regular bread. I could slice it thinner for sandwiches. I think it just needs maybe honey flavor instead of banana and less butter (so it doesn’t have butter aftertaste) ? Not sure, I just know you can do it! Thanks! I love to hear that, Felicia! Have a great day! I LOOOOOVED this recipe. I added lily’s chocolate chips and used pecans instead of walnuts. Also I added some allspice with the cinnamon. One thing—maybe my oven gets too hot— but it was perfect at 40 minutes. Started to burn on the edges a tiny bit. So I would def check at 35-40. Thank you, Sarah! I’m so glad you liked it. Those add-ins sound yummy. Oven time can vary a bit depending on your oven and even the pan you use, so definitely a good idea to check on it. 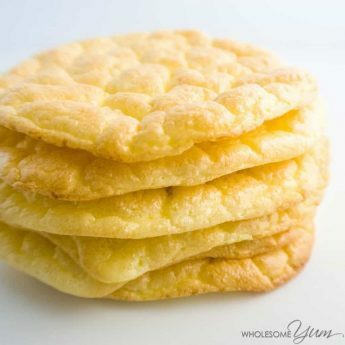 This turned out so delicious – I did use xanthan gum and the texture was excellent and held together beautifully. It was so tempting, I had to put some in the freezer so I wouldn’t eat it all. It freezes nicely. I ordered banana extract just for this recipe and I’m so glad I did. Thank you! Instead of banana extract, i added 3 mashed bananas and cooked it for 35 minutes. It came out delicious. Thanks for sharing, Paola. It’s not low carb with the bananas, but would still be paleo. I’ve made 2 variations on this people may be interested in. The first was lemon/blueberry bread. I used 2 tsp lemon extract and a bag of Trader Joes unsweetened freeze dried blueberries. I didn’t use cinnamon or nuts, but everything else was the same. 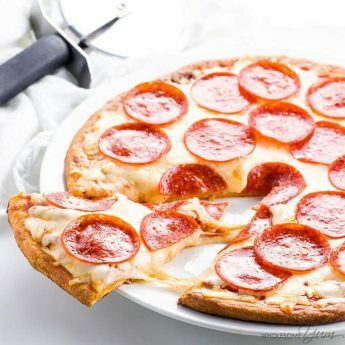 This adds 1-2g carbs per slice depending on the size of the slice. The second was lemon poppyseed muffins. I used 1 tbsp lemon flavoring (2 tsp lemon extract would also work) and 1 tbsp poppy seeds. I didn’t use cinnamon or nuts, but everything else was the same. I baked for 25 minutes and left in the pan until cool. Made 12 regular-sized muffins. These actually hold together way better than the loaf. Thanks, Kelly! Those variations sound delicious! 1/2 tsp of xantham gum is not enough to bind this bread. 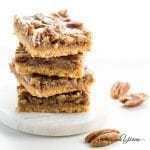 I bake GF all the time and for the quantity of ingredients, I would add at last 2 tsp of guar gum or xantham gum, and 1 tsp of ACV (vinegar helps to digest nuts). Thank you for the recommendation, Suzanne. I try to avoid gums when I can, and thought it was fine without even if a little more crumbly. Good to know about the ACV! This sounds great, I look forward to trying it. I see the serving size is 1 slice. How many slices do you get per loaf? Thank you, Tresa! 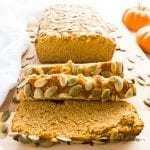 Using a 9×5″ loaf pan, the recipe makes 12 slices, each 3/4″ thick. Will definitely try. Thank you. Thoughts on doing as a mug cup? Great idea, Tracie! I haven’t tried this as a mug cake, but I’m almost certain it would work. I recommend entering “3” for the number of servings on the recipe card and it will adjust the ingredient amounts accordingly. (Use 1 tablespoon for anything that says 1/16 cup.) The reason I say 3 is because the measurements come out weird (hard to measure) if you enter 1 or 2. You may need two mugs for the 3 servings of mug cake, or you could even use three if you don’t mind them not being all the way full. I would microwave for a minute to start, then check and add more time in 15 second increments as needed until the mug cake is firm. Let me know how it goes! finally made this today! really tastes a lot like the full of carbs banana bread recipe I used to love to make. I did add a little extra sweetener and baked it for 50 minutes and it turned out fantastic! even my super picky 6 year old loved it and she claims to hate my low carb foods lol. Fantastic! This was my 2nd try at making a low carb bread item. 1st was biscuits which were good. I used 2 bananas on this recipe and 1/4 cup of zing baking blend. No other changes. I must say it tastes better than my usual go to banana bread recipe from the Joy Of Cooking book! Definitely has me excited to try other low carb recipes while I’m restricted by gestational diabetes. Thank you, Adrienne! I’m so glad to hear you liked both recipes. What’s the point of low carb bread when you’re adding bananas? Bananas are not good for keto. She didn’t say she was Keto, she has gestational diabetes which requires a reduction of sugar intake but actually bananas are good for diabetics. So, don’t be a jerk. Did you even read the recipe? She didn’t add bananas… She added banana ‘extract’. Delicious! Made it with Swerve. I cooked it about 50 minutes. So the swerve (or monkfruit in my case) will work the same?? How much did you add? Is it one for one “? Hi Leesa, Use the sweetener conversion calculator here to find out how much to use if you use a different sweetener from the original recipe. I made this tonight and mine turned out dry and bland. I felt it needed more butter and sugar substitute. I sliced it and poured on some sugar-free maple syrup and whip cream…wow! It tasted like banana french toast!!! So good. Hi Nicole, Sorry to hear that it turned out dry for you. Most likely the cause is too much time in the oven, so you could try reducing the baking time if you make it again. Either way, topping with sugar-free maple syrup and whipped cream sounds absolutely delicious! You can get banana extract at the grocery store… Walmart, Kroger, etc. Yes, some stores carry banana extract too, but I haven’t seen it at the stores in my area. The ones in stores that I’ve seen are an “imitation extract” using artificial flavors, which are not as good as the real thing. I really like the quality of the kind I buy online. But if you can find it in stores, that’s even easier! That looks fantastic! Great idea on that secret ingredient. Approximately how many slices do you get please?? This looks scrumptious. Hi Dita, This yields about 12 3/4″-thick slices. You could get more or less if you cut thicker or thinner. This looks so good! Great way to start the day! Oh wow – never thought to use extract! I bet it tastes amazing! Such a terrific idea!!! This is one scrumptious looking loaf!!! I love banana bread! With a steaming cup of coffee, that sounds like the perfect way to start the day! Thank you for the awesome recipe! Oh this looks VERY good! 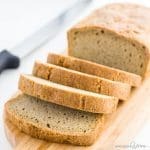 So cool to make banana bread low carb! Where did you get banana extract? Online? What a great idea to use extracts. Your banana bread looks delicious. I like the look of the walnuts on top!